​ Dear #MarkedbyOdin, we are already on the edge to take the leap with which to leave behind 2018 and receive the new year 2019. 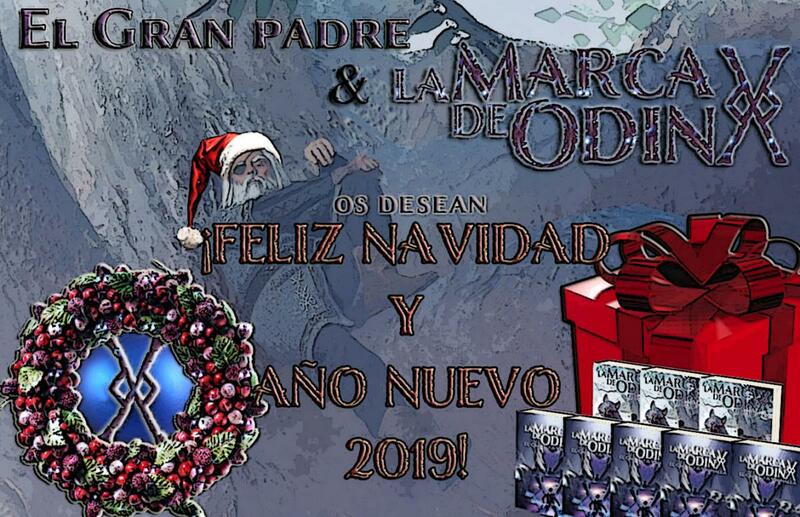 That is why there is no better time than this to share with you a new #LetterfromtheAuthor with which share the latest news from Mark of Odin. As you can imagine this autumn and the beginning of winter has been frantic, with a lot of work and stress, but it is worth it. The first thing to note is that I've finally been able to share 'The Battle of Jötunheim', the first bonus chapter of Mark of Odin: Road to Valhalla. With him I want to show you my firm commitment to nurture new contents and stories to the readers who have supported me. It has been a chapter that has been made to pray, but according to the first impressions of those who have already read it, it has been worth the effort on my part and the wait for yours. 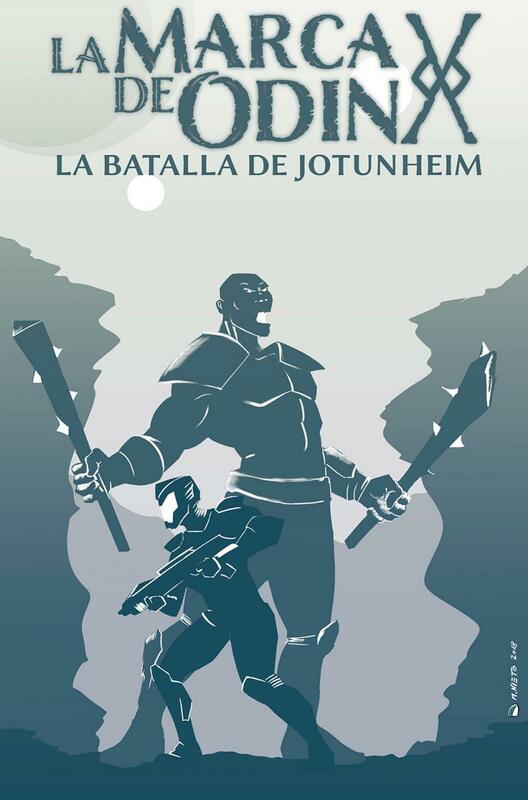 'The Battle of Jötunheim' will not only offer you 44 additional pages of epic action, but will also allow you to better know the Jotuns, those great strangers mentioned at different times in Road to Valhalla. It was always very interesting for me to be able to present to you the cultural, sociological and technological clash that involved bringing together Jotuns and Boreans. 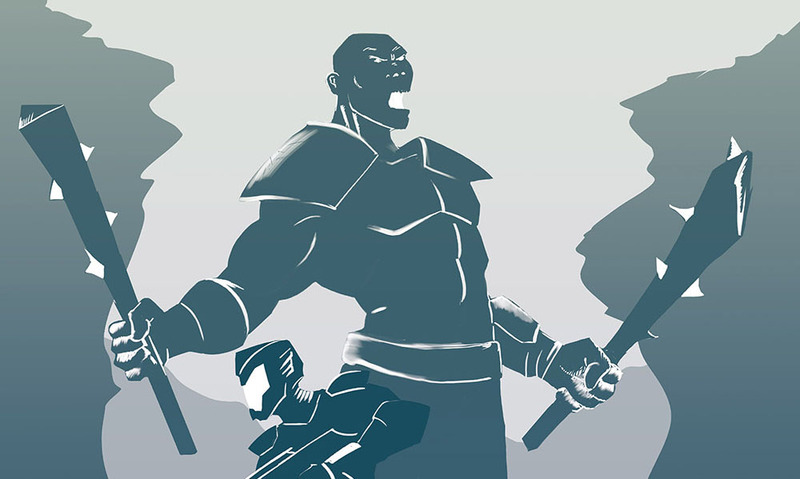 And as you will discover, despite their differences, the jotuns have something to say in the universe of Mark of Odin. In addition, Manu Nieto has currado a very impressive cover, with two versions to be at the level of what offers a planet of ends as it is Jötunheim. After this chapter, it's time to start preparing the other two bonus chapters, each one will present a different story and style, as I did with those of The Awakening. What I can tell you is that the second one is entitled 'The edge of the katana'. It will mean a complete change of registration with regard to 'The Battle of Jötunheim' and will be centered on a character that I think that by reading the title, I do not have to reveal who he is. The idea is also to prepare a series of extended stories, which will nourish the space between the publication of each bonus chapter. Although for them I will also depend on the availability of the illustrations or transmedia materials that will accompany them. My dream would be that by 2019 I could share at least one or two of these contents per month, but take this with tweezers, since it will not depend only on me. Most of them will be from Volume 2 of the Odinpedia, but I do not rule out recovering others that remained in the inkwell of Volume 1, as we have done with the story of Marta and that of Professor Jørgen Hågensen. Changing the third, I want to say that I am very happy to see how the Christmas campaign is going. Actually, since the summer we have been progressively increasing sales in our store every month. In October we beat our billing record, thanks in part to business promotions, and December is not lagging behind. If we continue this progression towards this coming year, we could reach a stabilization point with which not only to aspire to share new special extended content, but to expand the Mark of Odin crew. 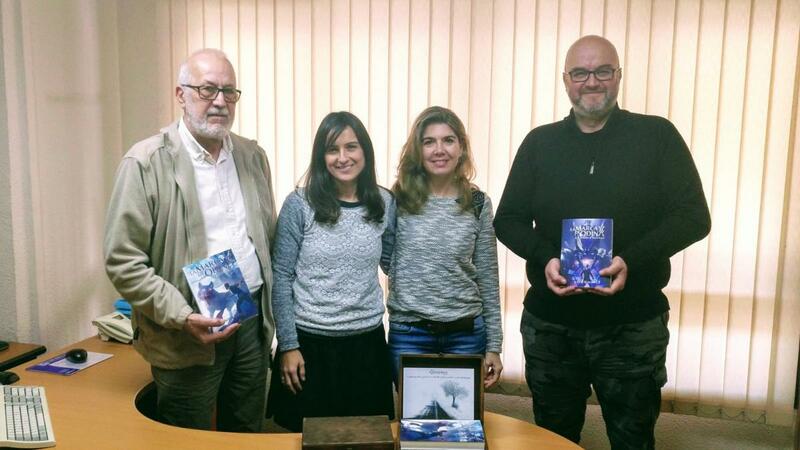 That's why I do not want you to forget, that every time one of you recommends books, it's helping us to keep growing. Each reader is a new fundamental pillar on which to sustain this dream. On the other hand, I'm still working on preparing the new reissue of The Awakening and when I finish with it, get into the one of The Road to Valhalla. I am very slow because it is a very laborious job and I lack the holes to move forward as I would like. Keep in mind that in Megapop Games we have just launched Meganumbers and now in January we finally launched Trolls vs Vikings 2, added to the Christmas campaign has caused me to multiply more than usual (Let's see if I can clone me once). In February I will try to make a break of at least two weeks to take a vacation. I've been without 2 years and after all the releases (The road to Valhalla, The awakening in English, new web, crowdfunding campaign, Meganumbers, Trolls vs Vikings 2) my brain claims it. I hope to disconnect and oxygenate the mind enough to gather strength and, if everything goes how I hope, start the production of the final draft of... Mark of Odin: Ragnarok! It has also been one year since the launch of the new website. As you have already seen, we are still working on it. In the month of January we hope to be able to give you a boost to complete the remaining tasks and thus be able to focus all efforts on completing the development of the Odinpedia App, with which we hope you can enjoy all of our contents in a very more intuitive and comfortable from your mobile devices. I take this opportunity to remind you that we miss you so much for all those who have not yet joined our community in Discord, where you can have direct contact both with me and with the team of collaborators of The Odin brand. Not only that, there are still many readers of the first book who have not started the road to Valhalla. Will you not know what is beyond? There are many copies waiting for you to adopt them in our store and I will be very happy to dedicate them to you. Without further ado, I wish that you are having a great Christmas with your families and friends and that tonight you are saying goodbye to 2018 in a big way and you welcome a 2019 full of possibilities. See you beyond Valhalla!